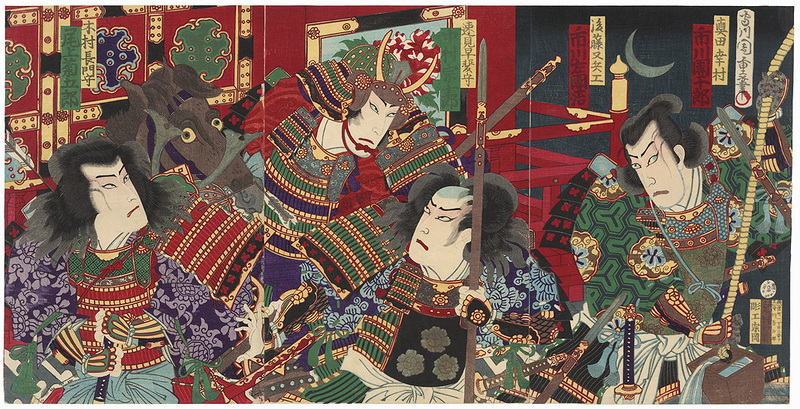 Comments - Terrific kabuki scene of a group of samurai gathered outside a temple. At left, a general on horseback leans to the side, frowning angrily at the warrior at right, who is pulling up a bucket of water from a well. 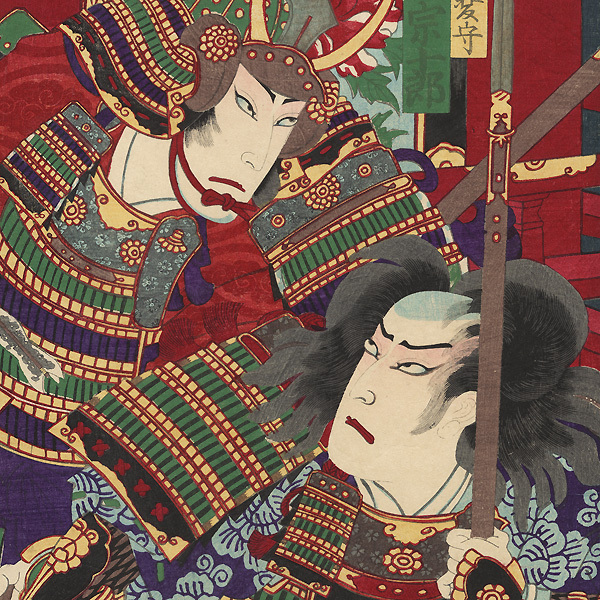 The fellow in the center stares angrily up at the general, gripping a spear in one hand while throwing out his other to restrain the samurai at left. The doors of the red temple building behind them are decorated with colorful panels, and a crescent moon can be seen in the night sky. A handsome composition with lively color, detailed with touches of burnishing and metallic pigment that has oxidized to a dark tone on the armor, weapons, and moon. Image Size - 14 1/8" x 27 7/8"
Condition - This print with excellent color and detail as shown. 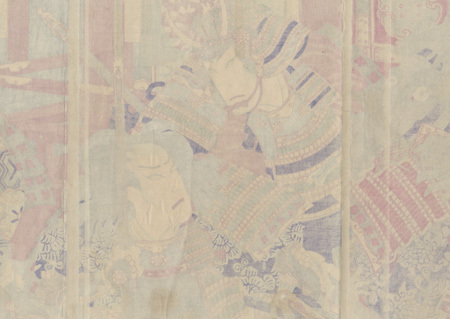 Three attached panels, backed with paper. A few creases. Please see photos for details. Good overall.